This is a wooded lot that is within less than a mile to the lake access, pool, and tennis courts. Although this is in an association, there are no monthly or yearly association fees and the shared amenities are included in the taxes. 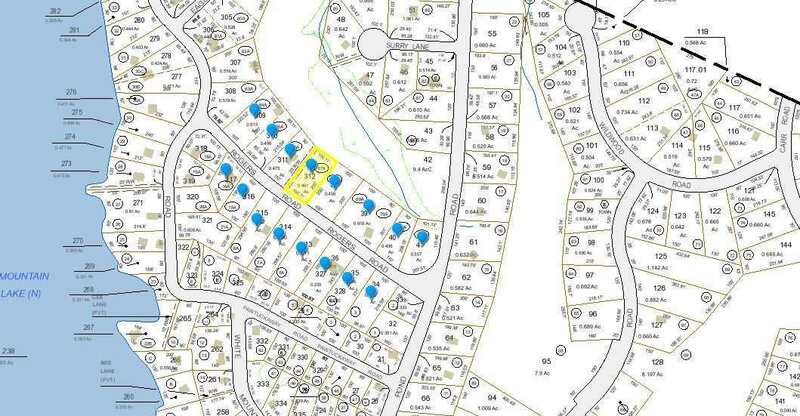 The water connection is available with a hook up fee and soil tests for a septic have not been done on this lot. There are a few homes on this road and the lot has a pleasant setting with a nice spot to build on. Here is your chance to invest in a plot of land to build on now or in the future! With the resort like setting in the Mountain Lakes District you will have plenty of relaxation time whether you like to walk or hike trails, snowmobile or hang out lake side, this may be the place for you!